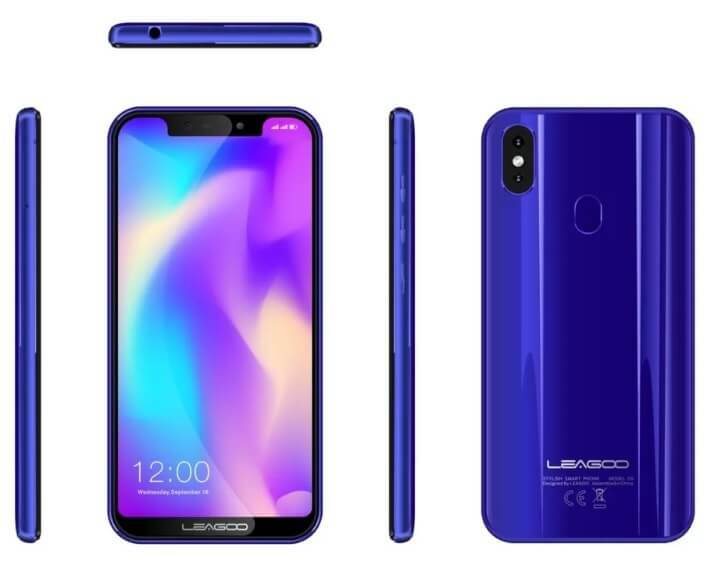 Chinese smartphone manufacturer Leagoo is set to launch its next flagship device, however, the smartphone’s official design has already surfaced the web, revealing that the device will sport an iPhone X-like notch and minimal side bezels. The Leagoo S9’s front could be dominated by an OLED screen that has minimal bezels. The render shows that the device flaunts an iPhone X-like notch, where its front camera and other specs will be placed. Its design suggests that it will feature an in-display fingerprint scanner. Also, according to rumors, it boasts Face ID recognition for additional security options. Showcasing a glass back design, the photo reveals that the S9 will offer a vertical dual camera setup on the back – just like the iPhone X. It shows that the phone has 3.5mm audio jack, and USB Type-C port, as well.